Fall time means Halloween; there’s no question about it. The end of September usually warrants the start of Halloween decorating and preparation. If you are someone that enjoys events during the fall, consider the highly anticipated HighBall Halloween. 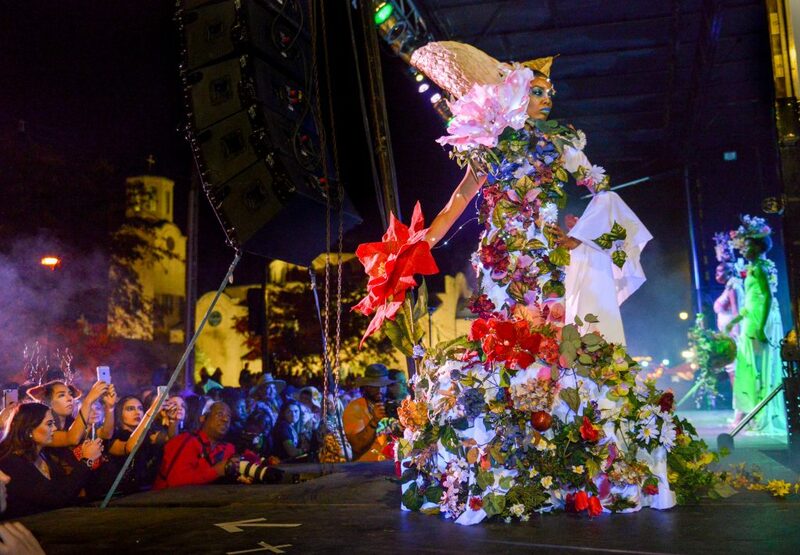 “Highball is what we call the nation’s most elaborate costume party. It takes place in the Short North Arts District in Columbus,” said Betsy Pandora, the executive director of HighBall. 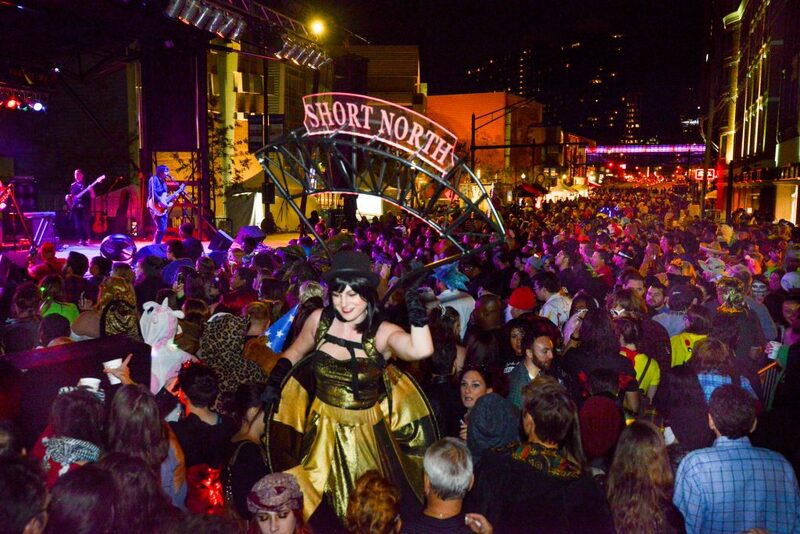 “Short North Alliance is a non-profit organization that serves business and property owners and residents of High Street in the Short North Arts District. We have almost 400 businesses in the neighborhood and help to support keeping the neighborhood a great place for them to do business and support art initiatives in the neighborhood. In its eleventh year, HighBall is a two-night event that includes different activities for its participants each night. “Over 20,000 people come each of the two nights of the event throughout the weekend,” said Pandora. attends is invited to dress up according to the specific theme. This year’s theme for HighBall: On the Rocks is the 90’s, with a performance from the world leading Spice Girls tribute band. Saturday features the Battelle Costume Couture Fashion Show as well as musical performances and the public costume contest. Since HighBall is so popular and heavily attended, they accept a wide variety of volunteers. Volunteers get free admission and drinks. The event begins October 26 through the 27 and admission ranges from $7-$130 depending on the package you choose. “In this year’s Battelle Costume Couture Fashion Show one of the designers that is competing is Elizabeth Bourgeois, the head of the costume design department at Wright State University,” said Pandora. This is Bourgeois’ first time competing in HighBall Halloween’s Battelle Costume Couture Fashion Show. “I’m trying not to think too much about the “competition” part, and just experiment with some ideas,” said Bourgeouis. Initially, Bourgeouis went to college for scenic design. She later switched to costume design after she realized she had a knack for it. Since then, she has been a designer for 24 years. For more information visit the HighBall website.